Alison Broinowski takes over the Jauncey pen (and the Beatrice Jauncey persona) and recalls an early skirmish in the so-called ‘war on terror’ – the response to the Hilton Hotel bombing, Sydney, 1978. Many people fail to remember clearly Australia’s first terrorist attack or to perceive its present implications. They incorrectly assume that those responsible have been justly dealt with. Here is a brief reminder. A bomb exploded at 12.40 am on 13 February 1978 outside the Hilton Hotel in Sydney, where Commonwealth Heads of Government had gathered for a regional meeting. Two garbage men were killed, a police officer died later and 11 others were injured. Indian Prime Minister Morarji Desai, advised by his delegation’s Central Bureau of Investigation (CBI) officer, at once accused the socialist movement Ananda Marga of involvement, a theory the Australian media sensationally supported for several years. The movement’s spiritual leader Sarkar (‘Baba’), who was jailed in India in 1971, did not condone violence and protests occurred around the world against his imprisonment. In 1978 he was released and exonerated, though this went unreported in Australia. Ananda Marga members were said by Indian authorities to be ‘Hindu fanatics’ and Desai in 1977 accused them of plotting to assassinate him. 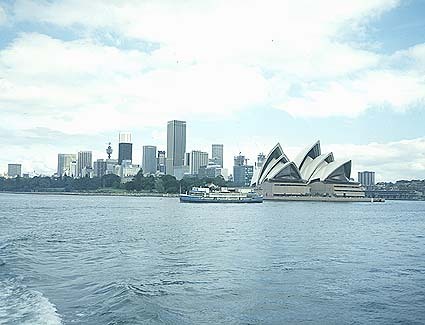 Commonwealth police had begun monitoring Ananda Marga, following demonstrations at Indian government offices in 1976, and the Australian Coalition government banned foreign Ananda Marga members from entering Australia. Up to 1977, however, only one offence against an Australian Ananda Marga member was recorded (offensive behaviour and damage to property). An attack in Canberra on the Indian Military Attaché (a CBI officer) and his wife was represented as ‘terrorism’ but the High Commissioner’s claims of Ananda Marga involvement were found to be dubious. Criticism of the police Special Branches and the Australian Security Intelligence Organisation (ASIO) had been amplified by the Hope Royal Commission of 1974-76. ASIO in the 1960s and 70s were said to be ‘cowboys out of control’. Revelations that police had kept files on South Australian identities and provided them to ASIO led Premier Don Dunstan to sack his Police Commissioner in December 1977. 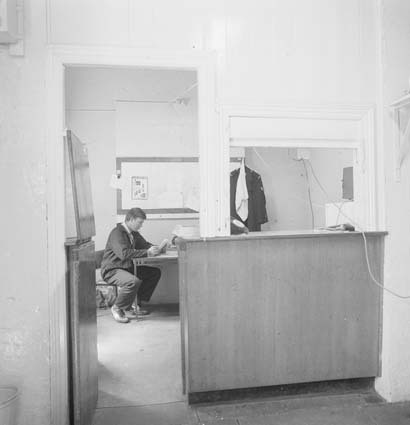 Labor spokespeople called for ASIO and police Special Branches to be abolished but Prime Minister Fraser intervened to ensure that cooperation between them continued. Then, literally overnight, the Hilton bombing changed the climate. Labor Premiers Dunstan and Wran backed down, Fraser called out the army and made himself ‘Supreme Commander’ of security forces. Media criticism of ASIO and the Special Branches waned, the assumption being that only they could protect Australia against ‘terrorists’. When an inquest into the three deaths was held, more than four years after the bombing, a prima facie case was found (and soon dropped) against Ross Dunn and Paul Alister, members of Ananda Marga. Evidence came from one of the wounded policemen that security forces were involved in turning garbage trucks away from the Hilton several times before the bombing but the evidence was disregarded. No-one asked why, if terrorists did it, they had not claimed responsibility. Instead, the coroner accepted the evidence of a Special Branch plant, Richard Seary, against Dunn, Alister and another member, Tim Anderson. The three had been arrested in June 1978. On dodgy police evidence, Anderson was convicted of conspiracy and the other two of conspiracy and attempted murder of Robert Cameron, leader of the right-wing Australian National Front. Various contradictory versions of events were provided by Seary, who belatedly and falsely claimed that Dunn and Alister had set the bomb at the Hilton. After the High Court rejected an appeal by the three men in 1984, Justice Jim Staples said their treatment ‘had all the hallmarks of a classical frame-up of unpopular minority dissidents’. Mr Justice Edward Woodward, retiring head of ASIO, denied that the New South Wales Special Branch had told his organisation about Seary’s operations. But the police Special Branches and ASIO, of which Justice Wood was highly critical, were in fact the only organisations that benefited from the Hilton bombing. They received extended powers to intercept communications and conduct break-ins and searches, while the disclosure of agents’ identity or the obstruction of their activities became indictable offences. A campaign to release Alister, Dunn and Anderson culminated in the Wood commission of inquiry, which recommended in 1985 that they be released. New South Wales detectives, including the notorious Roger Rogerson, pursued their vendetta. In 1989 Anderson was re-arrested and convicted for the Hilton bombing on the evidence of another unreliable witness, Evan Pederick, a former member of Ananda Marga who, having claimed he had a part in the bombing, was also imprisoned. On appeal, judges eventually rejected the evidence of two witnesses, criticised the prosecution, and overturned Anderson’s conviction. Between 1978 and 1991, Anderson had been framed twice, exonerated twice, and spent more than seven years in jail. The NSW Parliament in 1991 and 1995 called on the Federal Government for a joint inquiry to examine if any official conspiracy was behind the bombing. No inquiry has ever been held although some of those who know the truth must still be alive. The Hilton bombing was the first terrorist attack in Australia. It was an egregious example of police verballing, judicial prejudice, wrongful imprisonment, media sensationalism, political manipulation and official secrecy. Now, the war on terror has neatly replaced anti-communism as the Anglo-allies’ justification for their national security industries and their intimidation of citizens. Consider the chequered careers of Christopher Boyce (a CIA employee who sold secrets to the Soviet Union and was imprisoned, but linked the US presence at Pine Gap to the dismissal of Gough Whitlam), Dr David Kelly (who found no evidence of weapons of mass destruction in Iraq and was found dead), David Hicks (who trained with Al-Qaeda and was rendered, tortured, and reduced to pleading guilty to get out of Guantánamo Bay), Mamdouh Habib (who had comparable experiences) and Dr Mohamed Hanif (who was framed as a terrorist supporter by the Australian Federal Police). Consider also the treatment of those who expose covert operations, like Julian Assange and Edward Snowden. Just as the Hilton event gave a new meaning to home-grown terrorism, subsequent history proves Pogo right: I have seen the enemy, and it is us. Dr Alison Broinowski is a member of the coalition for an Iraq War Inquiry and the author of Howard’s War (2003) and Allied and Addicted (2007). See also an article by Damien Cahill and Rowan Cahill. Links to related articles by John Jiggens, Jerome Small and in Wikipedia. Oral history. Tim Anderson, Free Alister Dunn and Anderson, Wild & Woolley, Sydney, 1985, p. 74. Has anyone looked at a much bigger and dirtier picture? I propose a Conspiracy Theory so incredible that it just might be true. 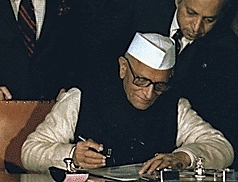 One of the agenda items for this Regional conference of the heads of Government was the proposal by Desai, supported by Fraser, to declare the Indian Ocean a ‘Zone of Peace’, thus limiting access to the Soviets, who used it to provide year round access between their eastern and western bases, and the US that sought to maintain a significant presence in the region. On top of that, Desai was seeking to further tighten restrictions on foreign companies using India as a source of cheap labour (he had already expelled Coca Cola and IBM). This last reason would be sufficient for the US to want to interfere with the stability of the Indian government, just as it did in Chile. The US was also concerned with the Fraser’s support of Desai, just as they were concerned with Whitlam wanting to close Pine Gap. Was it possible that the US had a role in the overthrow of the Whitlam government? This can not be ruled out. Why was there an explosive device in that bin in the first place? A dummy bomb could just as easily been there for the Bomb Squad to find and defuse. Who would know that it was a dummy? So, what was the real purpose of an explosive device in the bin, if not to deliberately harm someone? Which organisation has the clout to influence the Australian Government and prevent a full and open inquiry into this? My money is on the CIA given its extensive covert presence in Australia at that time through such organisations as the Nugan Hand Bank, run by the CIA as a laundering arm to finance it Covert Operations Group (COG) and its extensive drug operations centred in SE Asia and Australia. Before Nugan Hand, Michael Hand was a CIA operative in Laos, liaising with the hill tribes and providing them with arms in return for raw opium. Several Directors of the bank were retired US Military Personnel who gave their address as the offices of Air America, that CIA run airline that officially never existed. It has also been alleged that the CIA were heavily involved in the financing of cannabis production and distribution centred around Griffith in the MIA. Frank Nugan was involved in this through his family company, Nugan Fruit Packing and Distribution. It was Donald McKay’s interest in this company that was alleged to be the reason that he was killed. One of those involved in this assassination was Robert Trimbole, who just happened to own, at one time, the same restaurant as Bernie Houghton, a former US military pilot, associate of Michael Hand, and known CIA operative. Also allegedly heavily involved in this drug operation were several NSW police officers, who coincidently were, along with people named as being involved in the MIA operation, involved in the sting operation (Operation Seville) run by Colin Winchester, Assistant Commissioner of the Australian Federal Police, who was assassinated. Tenuous I know, but not out of the question.